KDE neon is the official operating system of the modern and powerful KDE Slimbook laptop. This OS looks very beautiful and cool. It is very stable, based on Ubuntu LTS, and --the most important thing is-- it brings the latest KDE Plasma and Applications directly from The KDE Project itself. KDE neon is a perfect OS for everyone to use the best free software technology for computing as well as to know KDE. For software engineer, KDE neon is the best showcase of software built with Qt Framework. This is my first review of KDE neon based on version 5.13.5 from September 2018. I hope you will like it. Enjoy! 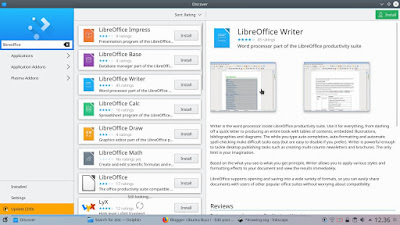 Kubuntu is another Ubuntu-based KDE operating system which is older, more popular, with bigger user community, and far more stable than neon. However, despite they are actually the same, the only difference is neon always has newer KDE versions. Really, neon is the true showcase of KDE. 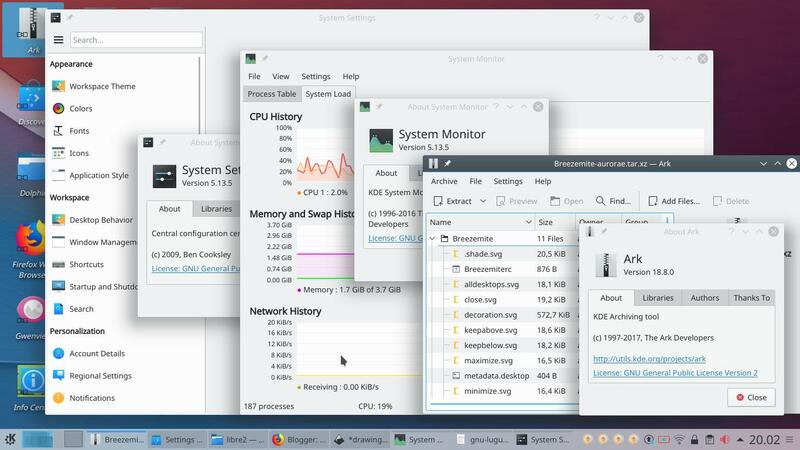 Compared to another distros with KDE, like openSUSE and Slackware, or Mageia and Manjaro KDE, neon is simply a KDE OS with most popular base (Ubuntu) hence anyone will recognize its user-friendliness and how vast the community is. For instance, the command line used is apt-get (same as Ubuntu's) not zypper, not slackpkg, not urpmi, and not pacman. Compared to another distro without KDE, you find the old Ubuntu with Unity Desktop, you also find Mint with Cinnamon Desktop, and perhaps Solus OS with Budgie Desktop. To be honest, KDE has everything, while those desktops are all new (or newer) with not as complete as KDE in manner of features. I test this by installing neon 5.13.5: it's only +/-350MB of RAM at idle time. 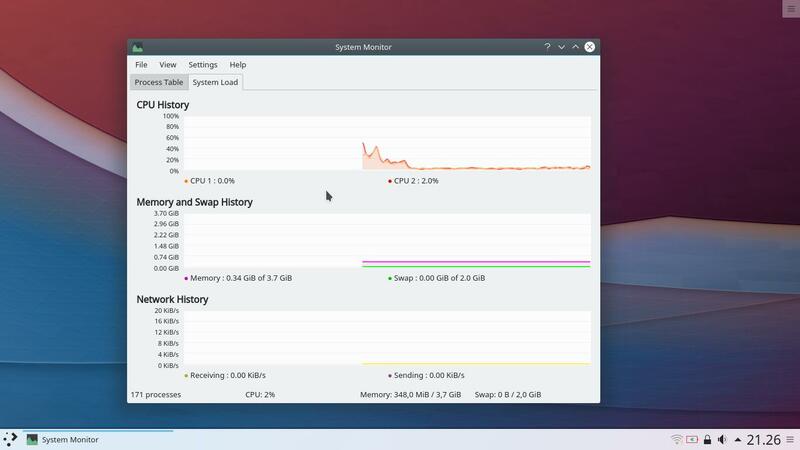 To be honest, I wonder why many people say KDE distros are memory hungry especially when they --perhaps-- have never tried neon. Please try neon and you will notice how memory friendly is it actually. Traditional means resembles Microsoft Windows user interface. Yes, it looks very similar to operating systems you always find at your schools, colleges, and offices. You find horizontal panel at bottom, with its menu on far left; you also find icons on desktop area with right-click context menu available; and you find it's very easy to drag-and-drop everything. This desktop has a name, it is Plasma. Modular desktop means a desktop that is easy to add and delete components. 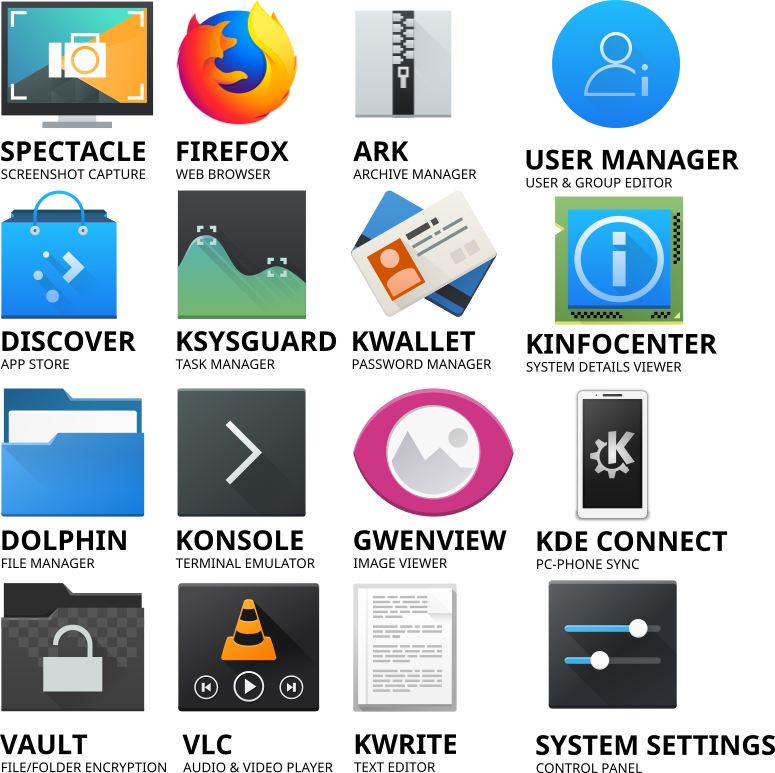 The user interface of KDE neon is modular, it's based on widgets, everything you see on screen is widget, even your panel is widget. You can easily tweak your desktop by adding, deleting, moving, stretching, combining, change the opacity and color, of every widget. And if you need more widgets, you can install more from KDE Online Store, or --if you know programming-- make it yourself. Yes, you're correct, being this way means it's easy to make it mimics another desktop or operating system, say, Mac OS X. 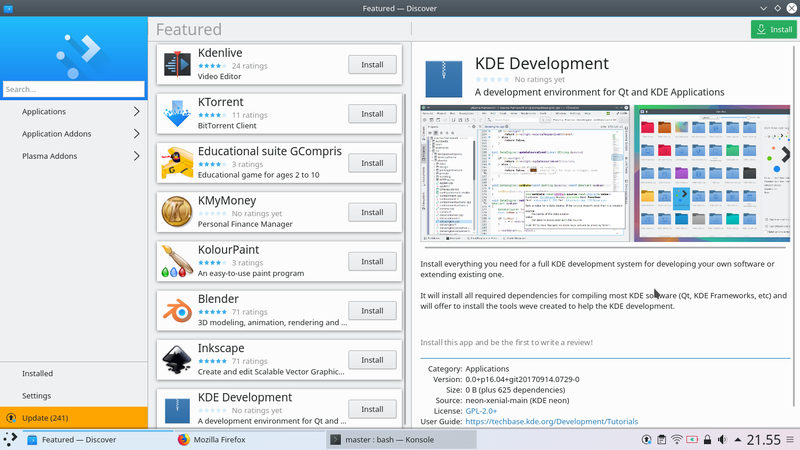 This user interface is called KDE Plasma. Built-in applications on KDE neon are not that many, just enough for daily file management, web browsing, and multimedia playing. Just like what I say in the beginning, KDE neon is an Ubuntu derivative, so by default it can install all software from Ubuntu official repository. 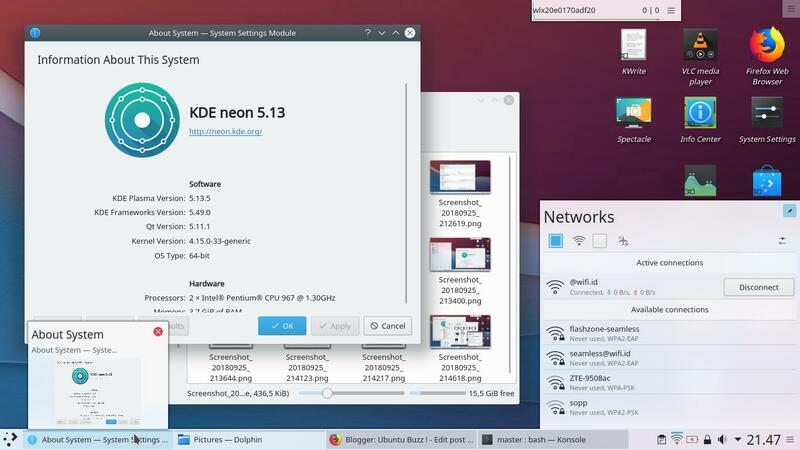 Latest KDE neon now (September 2018) based on Ubuntu 16.04 and next KDE neon will be based on Ubuntu 18.04. Any version you use allows you to install 50,000+ software available there. This including LibreOffice, Mozilla Thunderbird, GNU R and Octave and PSPP, Netbeans and Eclipse, Amarok and Kdenlive, and so on you already know! You call it "Play Store" or perhaps "App Store" or sometimes "Software Center" or even "Package Manager". Regardless any name you call, it is the gate you use to obtain more programs to your operating system. 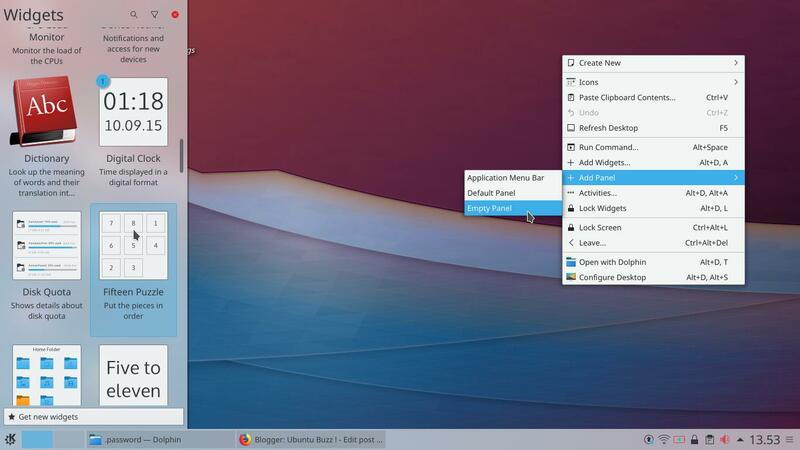 The store KDE neon has by default is called Plasma Discover. One of the greatest features of KDE since 4.0 is its desktop search. The neon OS provides this capability of couse as it brings Baloo (formerly Nepomuk) desktop search engine system. Do you have ever tried Run (Win+R) on Microsoft Windows? It can run you command lines (like ping) and installed programs. KDE neon has similar feature called KRunner (Alt+F2) but it's more advanced than just that: it can help you calculate math, convert Celsius to Fahrenheit and vice versa, convert currencies, and of course search for files. That's the amazing KRunner. Again, KDE is modular, and because of that the shortcut system is also very customizable. 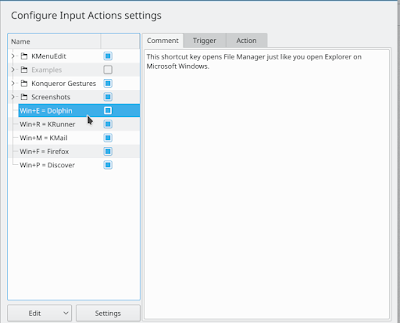 You can mimic your Microsoft Windows shortcuts, for instace Win+E to open File Manager and Win+R to open KRunner; or simply create your owns. Go to System Settings > Workspace > Shortcuts > Custom, then click Edit > New to create your own shortcuts. Customize once, use forever! See left panel: custom shortcuts make life easier! 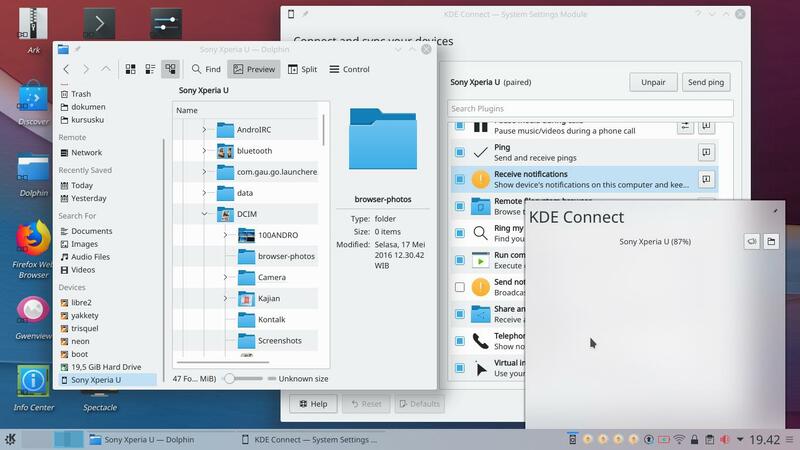 KDE is a serious desktop and it has integration everywhere. 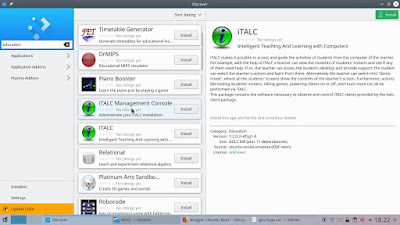 For instance, file search is integrated both in menu and KRunner; desktop is integrated to your Android phones using KDE Connect; sound volume of each program are integrated to Plasma tray; notifications are also integrated; even in 5.13 browsers are integrated to Plasma like showing download progresses. This all makes our experience with the desktop complete and easy. With KDE Connect, you install the program for Android phone and for your computer (no need if you use KDE neon). Get KDE Connect for Android either in Google Play Store or F-Droid (I recommend this one). Finally, pair between phone and computer by making a WLAN hotspot from phone, and enjoy integration! What I love about KDE is its consistency (I believe it's not only me saying this). It keeps its user interface layout for more than 20 years while another desktops keep changing and changing again. For instance, since the very beginning the menu button is still there, on bottom-left corner of screen. 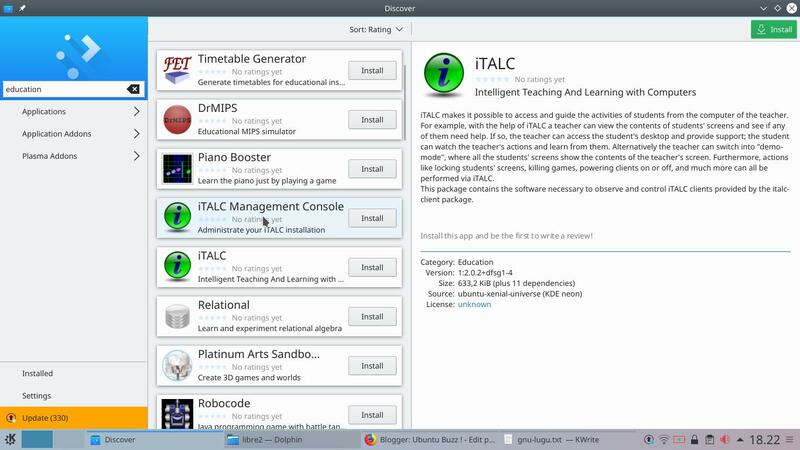 This makes KDE is easy to use and also easy to teach as the object to learn is consistent. KDE neon takes this advantage by taking Plasma as its desktop. 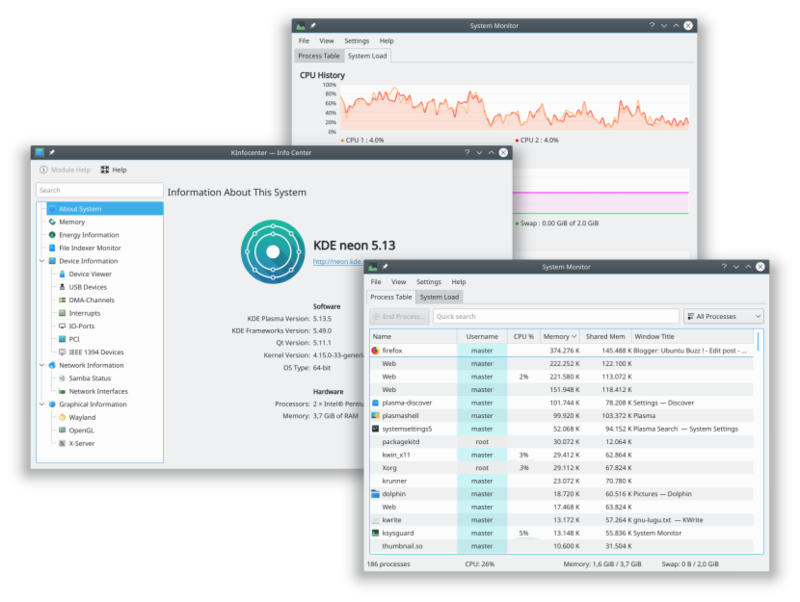 With KDE neon, it's really easy to find out details about your own system, your hardware and software being used. You found it was easy as well on your prior operating system, no? Yes, on neon, you just need to open the menu and type "about" to show the summary. Or, type "info center" to show more details plus hardware info. Or, type "guard" to show CPU/RAM use as well as active processes eating up your hardware resources. Very easy, very near to you. 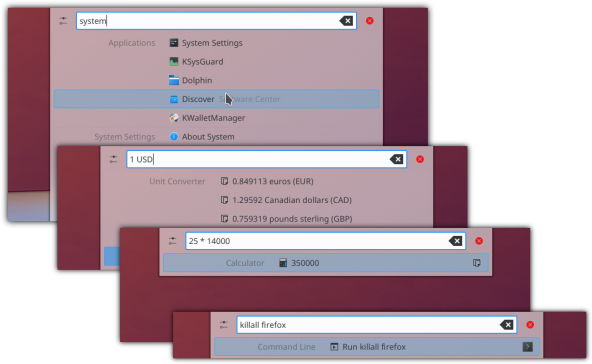 KDE neon makes finding system information really easy thanks to inclusion of KSysGuard and KInfoCenter. The archive manager is Ark, the screenshot tool is Spectacle, and the text manager is KWrite. And yeah, it has a control panel too, called KDE System Settings. Imagine mouse scroll button zoom capability. Imagine it's easy to split horizontal or vertical. That's Konsole. You can run it by pressing Ctrl+Alt+T. That's the terminal emulator of KDE neon. Upgrading the operating system is presented in easy but detailed way thanks to Plasma Notification and Discover. 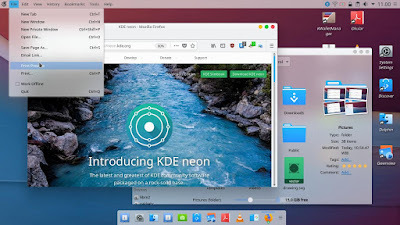 KDE neon is a stable OS that is pretty, useful, easy to learn and teach, integrated, but powerful when needed, with the latest KDE Software Compilation. 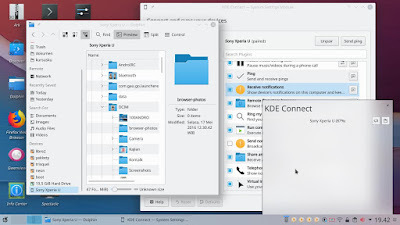 Stable, as you can see it's the official OS of the modern KDE Slimbook Laptop and as one of the basis of Plasma Mobile OS; while at the same time based on a stable Ubuntu LTS version. It's also lightweight! Pretty, as you can see it uses Plasma desktop with all its benefits for you. Easy, as it's consistent and modular, easily used while unchanged and powerful if you want customization. Integrated, as it connects to your phone in both ways to easily transfer files and control each other. Plus, its desktop integration is fun either for searching or running programs thanks to KDE features. 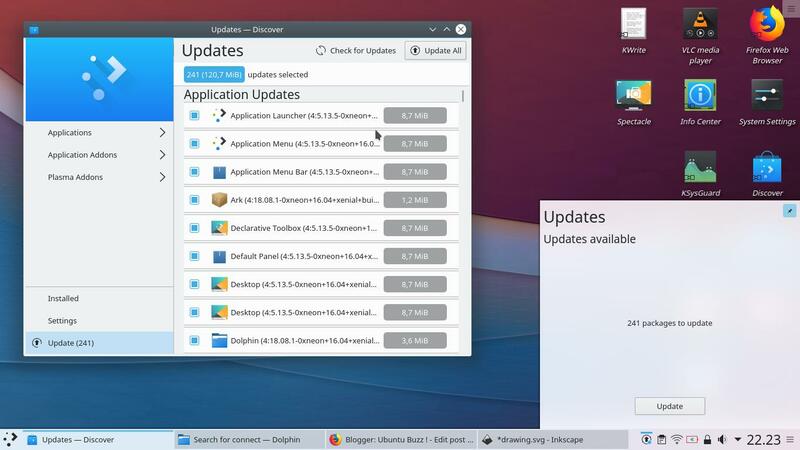 It has a benefit Kubuntu doesn't have: latest KDE without waiting the next release! 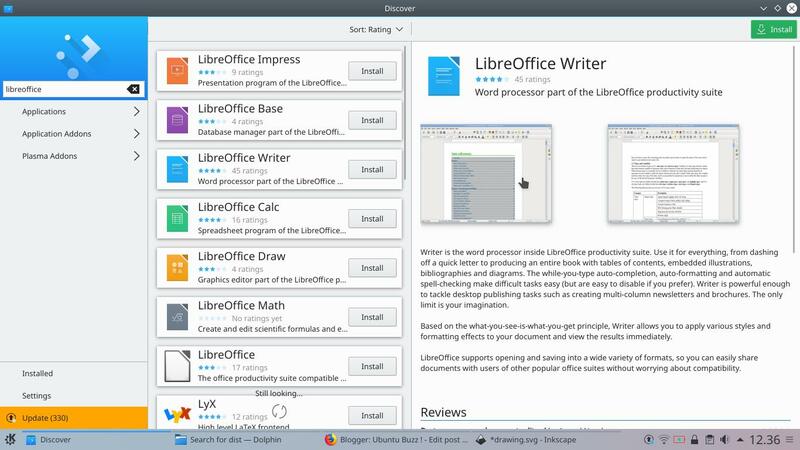 It also has benefit over other distros with perhaps rolling KDE version: it's based on Ubuntu, an easy OS you all are familiar with. What are you waiting for? 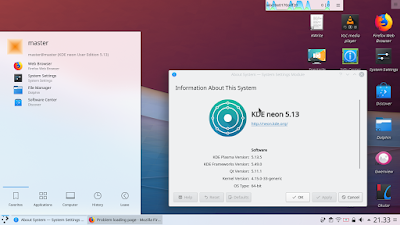 If you love KDE or simply want to test it, KDE neon is the right OS for you. You can try it in LiveCD first or simply install once and use forever. Happy running!